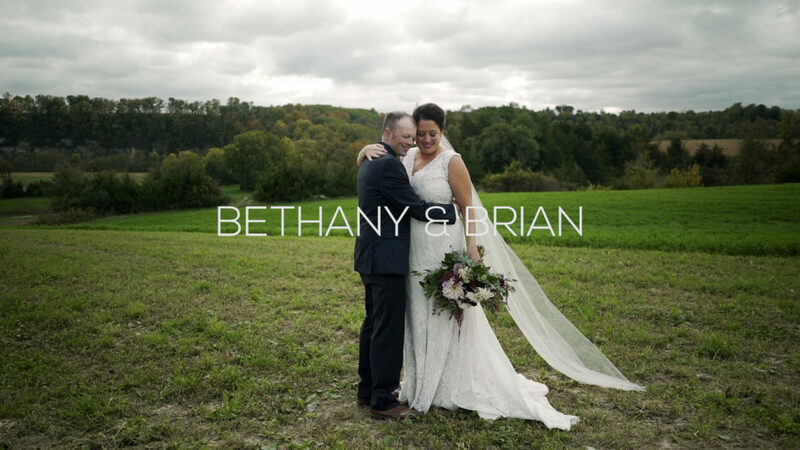 Bethany and Brian were married on a beautiful breezy hilltop on Brian’s farm – cows to the left and bluffs rising behind them. No one could ask for a more perfect setting: elegant, earthy, and meaningful for Bethany and Brian. As Brian said, he and Bethany will spend most of their days on the farm. Brian proposed there, and now every time they drive by the hill, they’ll remember saying their vows surrounded by friends and family. Bethany and Brian, congratulations and thank you so much for including us in your beautiful day!